Hi! Happy 2018! 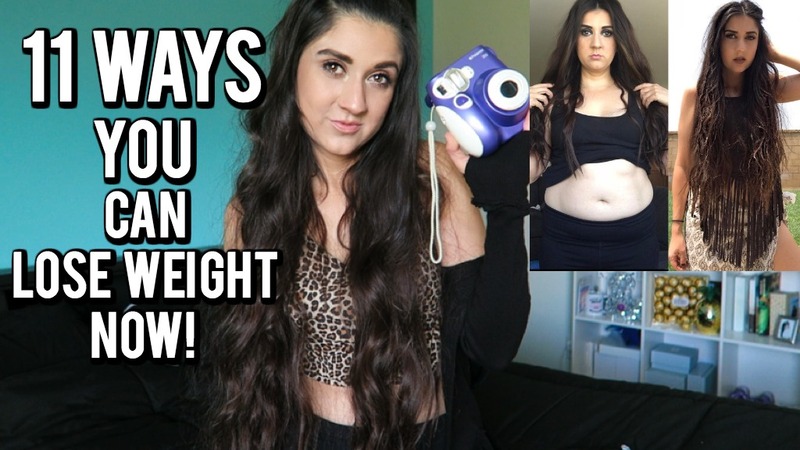 I just recently posted a video to my youtube channel sharing some tips you can use for starting your weight loss journey. (If that was one of your resolutions) I experienced my own weight loss journey and still on it. I have some more work to do but happy for myself for accomplishing what I have. Anyways, hope you enjoy and let’s get into it and don’t forget to watch the video below for more details about each point. Drink Water. Hydrate, control hunger for unnecessary sweets, and have your skin looking healthier by drinking that water daily. Log exactly what you’re eating. It doesn’t have to be calorie counting just common sense on what you’re placing in your body and can help you realize what you should and should not be eating. Eat Carbs. Yes! You read that correctly. If eating unnecessarily huge quantities then yes that can contribute to weight gain but if you’re craving carbs go ahead and eat a good portion size so you don’t splurge and there are many reasons to keep carbs in your daily “diet”. One being it can help you get rid of fat. Oatmeal is a good one which has fiber and if you eat it a couple hours before exercise it can help burn that fat. Take a before picture. It doesn’t have to be shared. You can keep that before picture on your phone or in a journal where you log your food. Pretty much your weight loss journey journal. The before picture is going to be a great motivator. When you start taking afters it will keep you going and have you feeling accomplished! I am so proud of my before and afters and you will be too! Here is an example of one and what makes it better is that it’s the same outfit! wooh! Eat Breakfast. I understand getting up in the morning is hard for some and you don’t feel like eating and others can’t stand the thought of breakfast. True fact about me: Breakfast would make me feel sick in the mornings before class in high school…or maybe it was just what I was thinking. Start with a cold glass of water and eat something. It’s good for your mood and for your hunger throughout the day. Even a banana will work. Go on pinterest and type in “quick breakfast ideas.” You will find some yummy ones just like this overnight oats one and it was ready for me to grab and go in the morning. Shake all ingredients together in a mason jar and store overnight and ta-da! Prep your snacks. When you have that craving for snacks you usually grab pretty much anything you can find because DUH! You’re hungry and need some food in your belly. So I suggest prepping your snacks in ziploc baggies before hand. Make them different and nicely portion sized so you don’t feel any guilt after munching. Examples would be baby carrots, pretzels, skinny popcorn with semi sweet chocolate chips, peppers..etc. Make working out fun. Have fun with working out. Working out doesn’t have to be intense weight lifting. Turn on some good music and dance your tush off for 20-30 min. Or find fun apps or youtube videos to work out along to at home. Find someone with the same goals. I highly suggest finding a friend, facebook group, or instagram group with people who have the same goals as you. You will find so much more motivation and someone who is listening to you while you have your struggles or success and you can keep each other going. I found mine by using a hashtag “weightloss” on Instagram. Find what works for you. Don’t make your weight loss journey feel like a chore. If what you’re doing is not working or boring you then it’s obviously not for you. Move on and find what works for you. Be patient. Not being patient was the number one reason why I couldn’t lose weight the first couple times around. I wanted results instantly. I am talking next day results! That is not healthy and not possible so be patient and soon enough your after picture will make you proud of being patient! Stay Busy. I usually like to eat a lot more when I am bored. So staying busy helps a lot. I won’t be wanted to lurk in the pantry when I am working on a pinterest craft or playing outside with my kids. Another one has been reading books lately. I remember before social media I was a huge book lover. I read so many books and I missed that feeling so reading a book will help as well. Now you click HERE to watch my video.